THIS FACE! 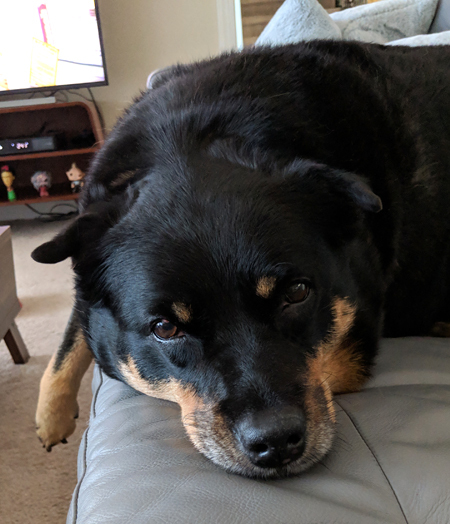 She knows if she lies on the couch next to me and gives me this plaintive look, there is a ONE HUNDRED PERCENT chance that I am going to stop whatever I'm doing and give her a million kisses on her head and pet her for like half an hour minimum. It's a ROUGH LIFE for both of us!